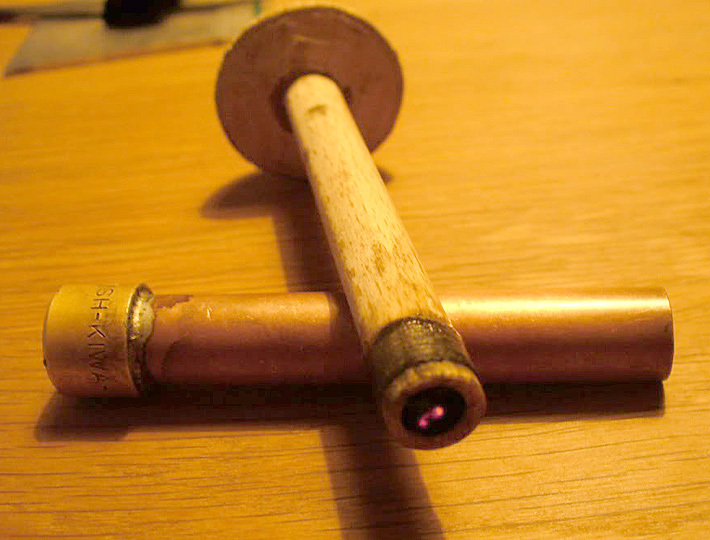 This is how I make my own fire pistons out of normal commercially available hardware store material. There are, off course, numerous other ways to make working fire pistons. Use the saw to cut off a length of copper tube ± 9-12 cm (the inside is smooth enough of itself). Use a file or sandpaper to smoothen the rough saw cuts on both ends. 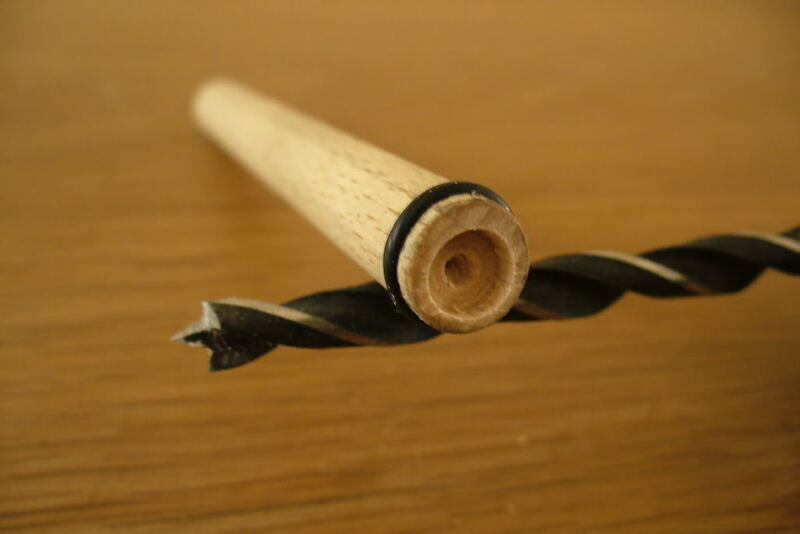 To allow easy entrance of the piston rod, taper the first 1-2 millimeters of the inside on one end with a special drill bit, a file or a piece of sandpaper folded into a cone. Remove any metal dust. 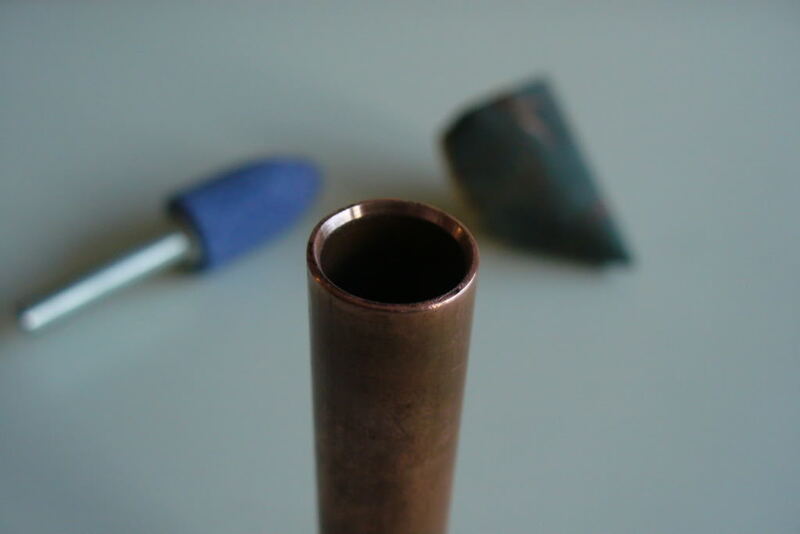 Solder or glue the brass end cap onto the smoothed (not the tapered!) 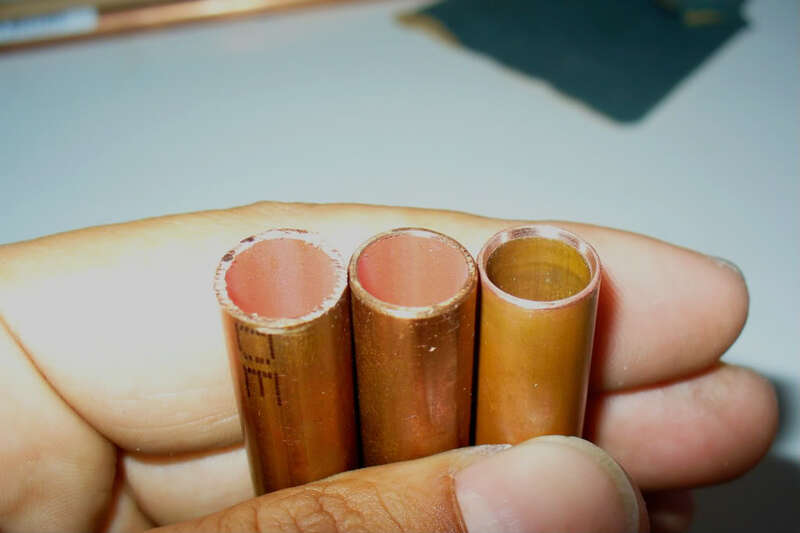 end of the copper tube. The tube is now finished. 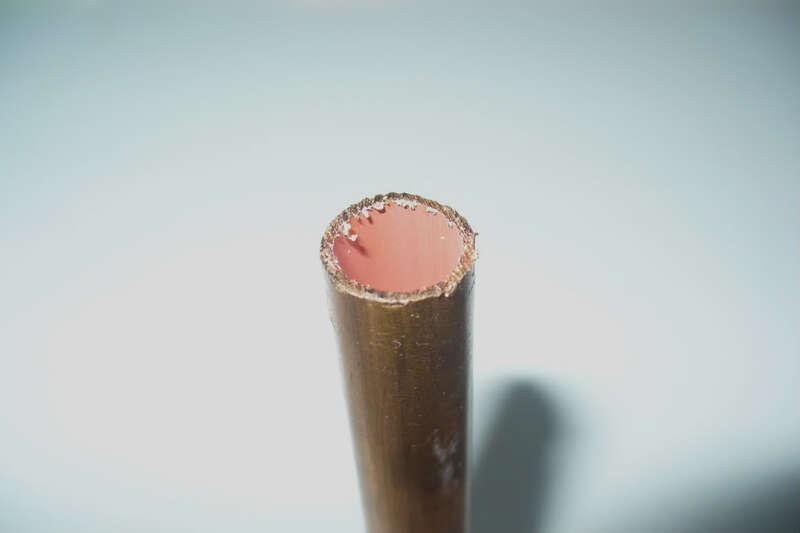 Another option for sealing the tube at one end is to plug the end with a piece of wood or metal rod. 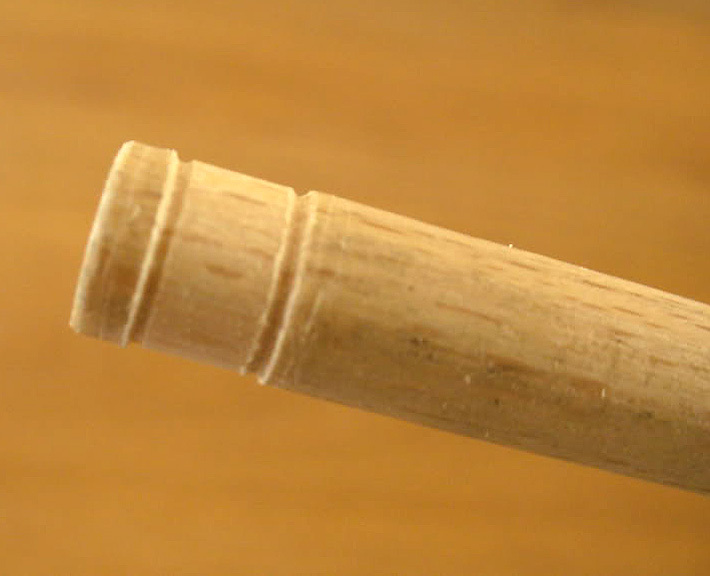 Make sure the wood is treated with super glue or something similar to make it non-porous. Saw the rod to the correct length (a few centimeters longer than the tube). Smoothen the rough saw cuts with sandpaper. 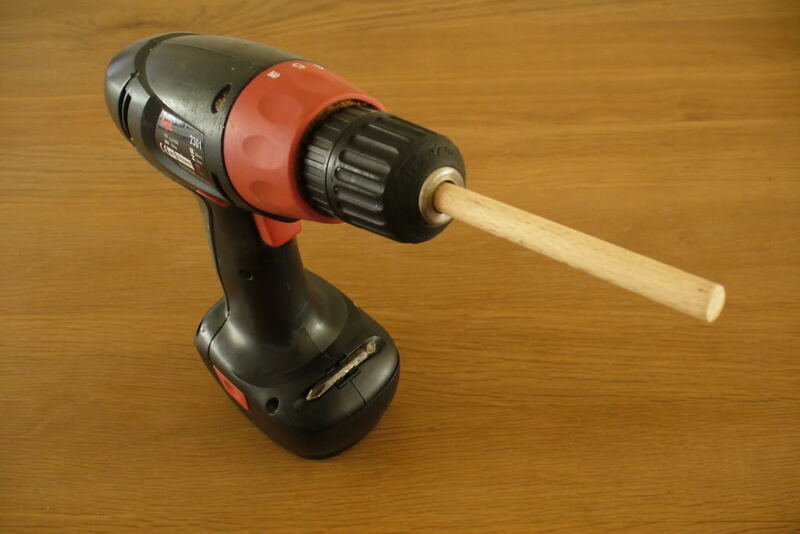 Insert the piston rod (just as a drill bit) into a hand drill power tool. 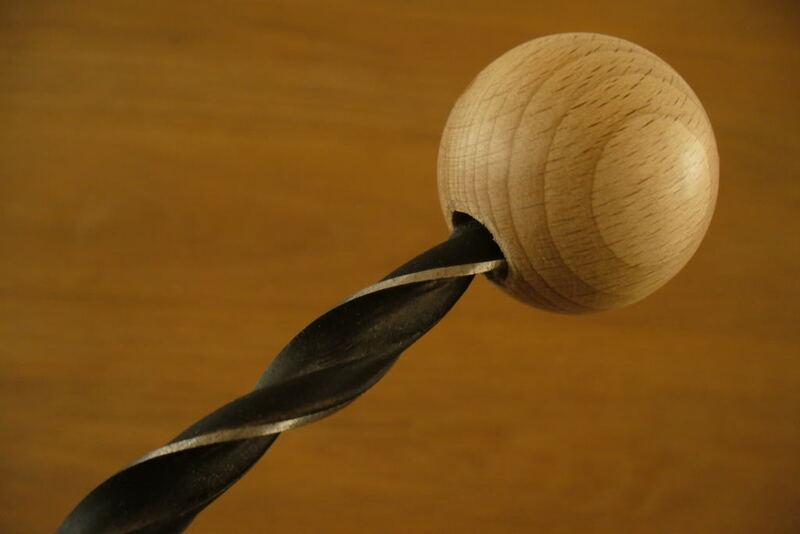 You can now let the rod spin and use a file or fine toothed saw to make a smooth and even ringed incision at ± 2-3 mm off the end of the piston rod (if the rod is just a bit too thick for the tube). You can also sand it down very evenly by using this method. This incision is meant for the O-ring and both have to match exactly. The purpose is to get an even incision that is the exact same depth all around the rod. If this is not the case, the rubber O-ring will stick out at some place or leakage will occur underneath the O-ring when trying to compress the air inside the piston. It is a precise job and it requires lots of trying out by putting the O-ring in place and trying to make it slide into the tube. When searching for the perfect fit, the piston rod should be entering the tube without trouble and moving freely up and down the piston tube (use oil or fat as lubricant) with not too much resistance when pushed. The groove can also be made by hand. Hold the file or saw in the same position as the picture and turn the rod with the other hand. 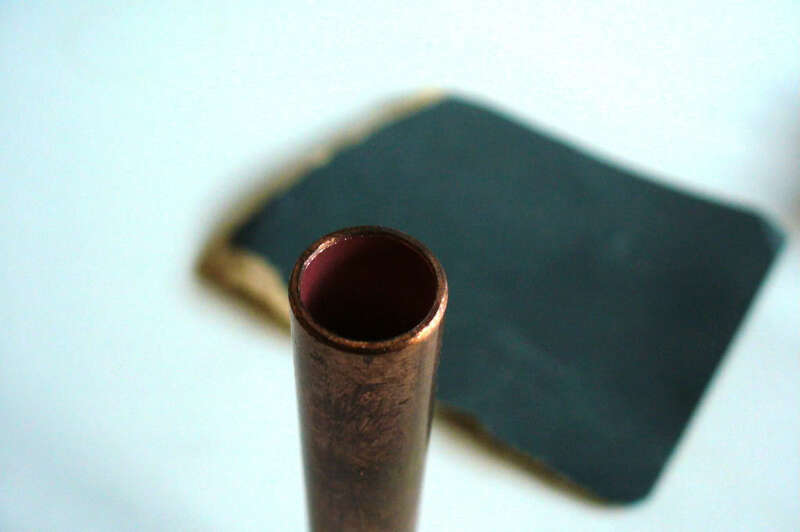 Drill a shallow hole into the working end of the piston rod (the end with the rubber O-ring), 4-7 millimeters wide with a depth of a few millimeters. 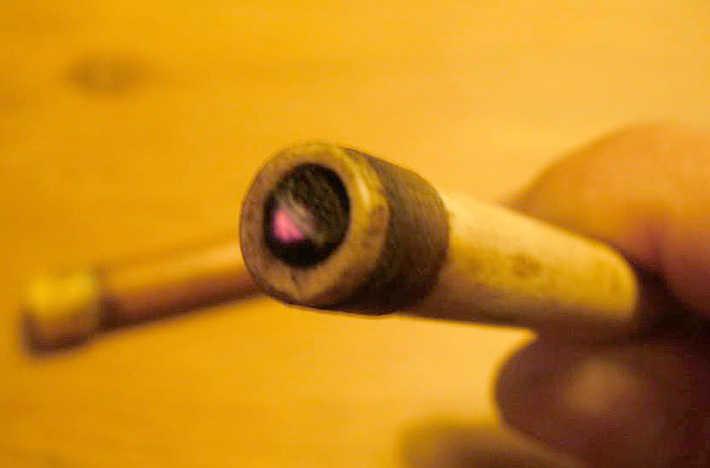 This is the “tinder cavity” or tinder cup in which the tinder is placed. 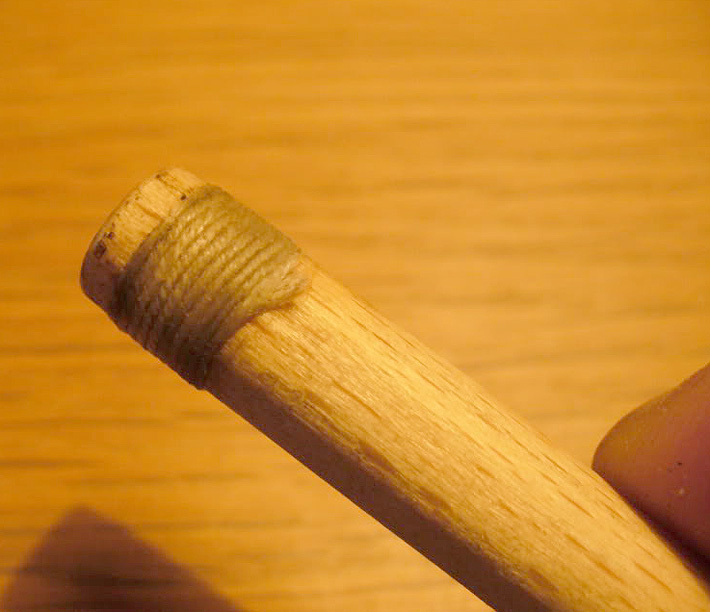 As most woods are porous, you’ll have to make the tinder cup and surrounding rim airtight by applying some super glue. Several thin layers may be needed. Make sure that the O-ring isn’t glued! Let it dry. 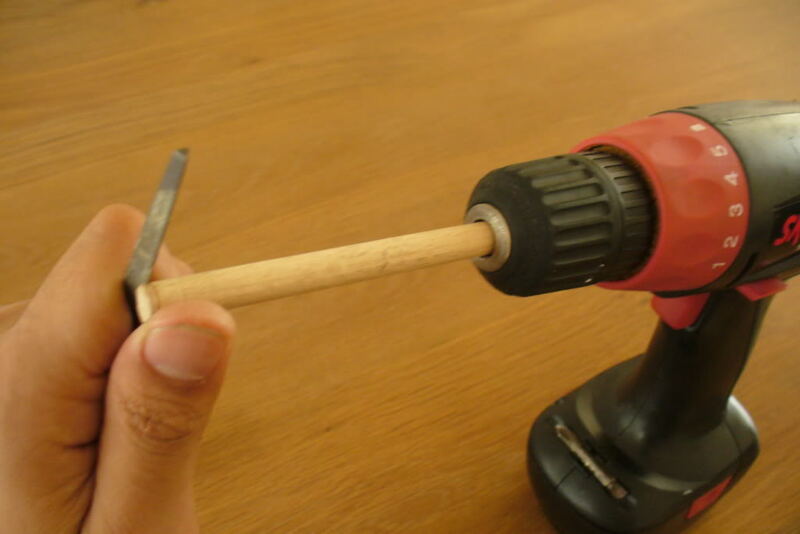 Drill a hole in the wooden knob and glue (or screw) it onto the hand held end of the piston rod. Make sure the piston rod is still long enough to reach the bottom of the tube. 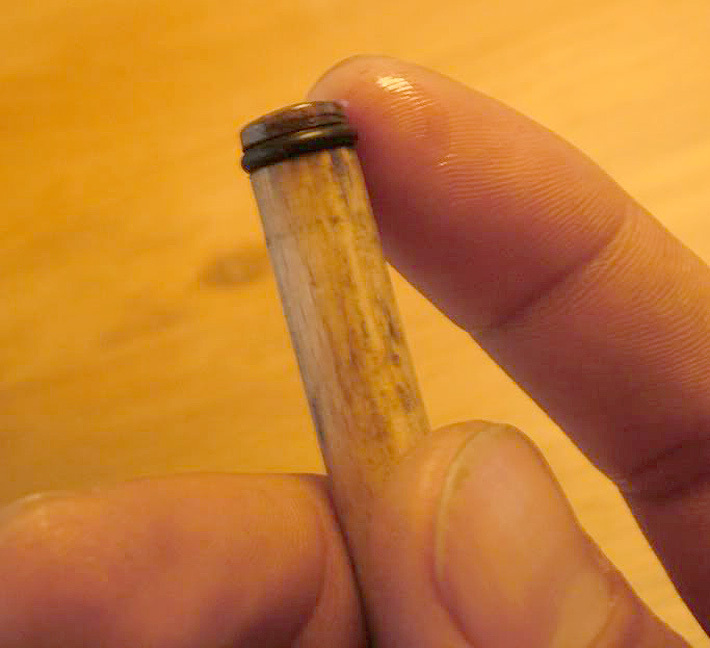 Put some lubricant on the O-ring and test the air compression of the piston by inserting it into the tube. When you try to push it in fast, you should feel the “cushion” of compressed air at the end of the stroke that forces the piston rod to bounce back. 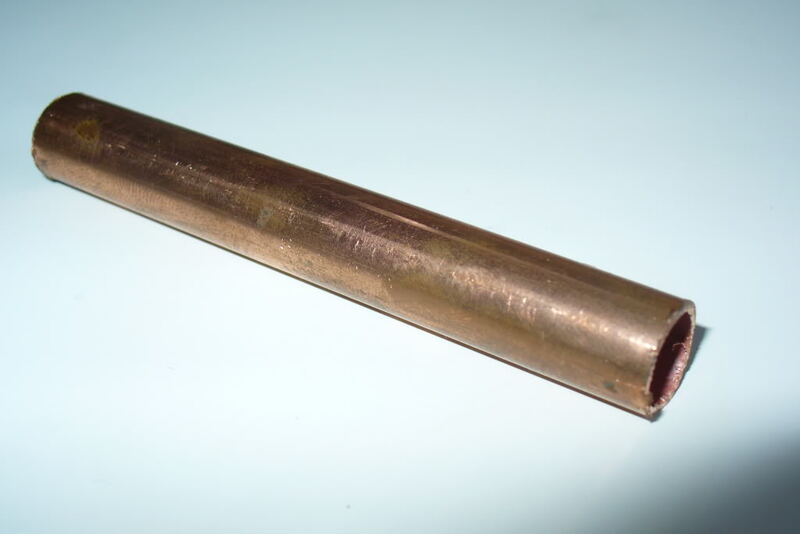 In the ideal case, you shouldn’t be able to touch the bottom of the tube with the piston rod. Not even when pushing it in slowly. Most of my working fire piston do this only when I push the piston rod in very fast. So don’t despair if yours is leaking air at a slow speed. 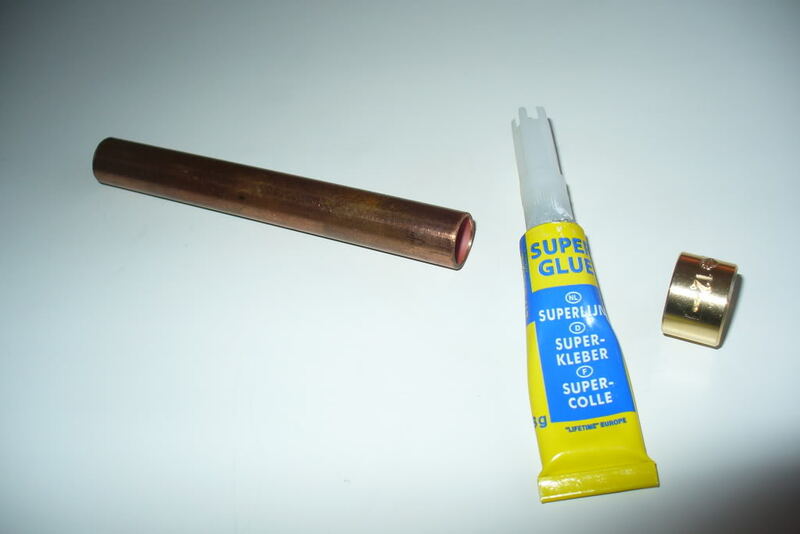 If there is no rebounce, apply more layers of super glue and check the attachment of the end cap. If you do feel the “air cushion”, you are good to go. 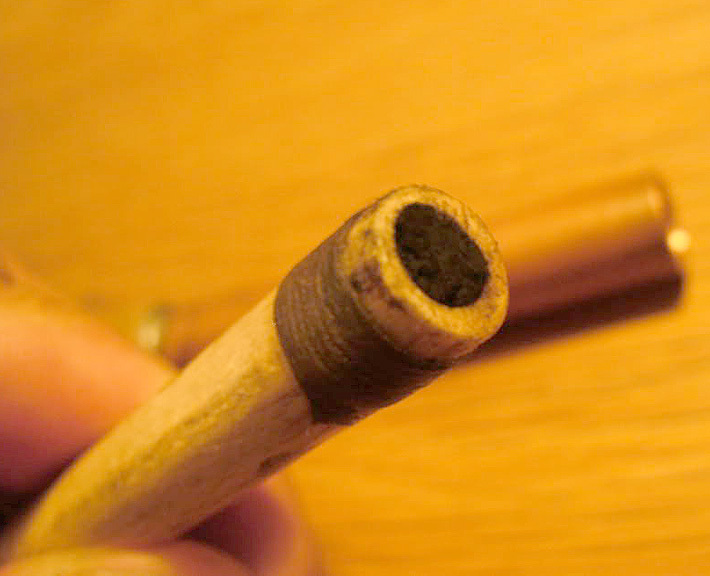 Fill the tinder cup with charcloth (I roll a little piece into a loose ball and push it in) or other good tinder. 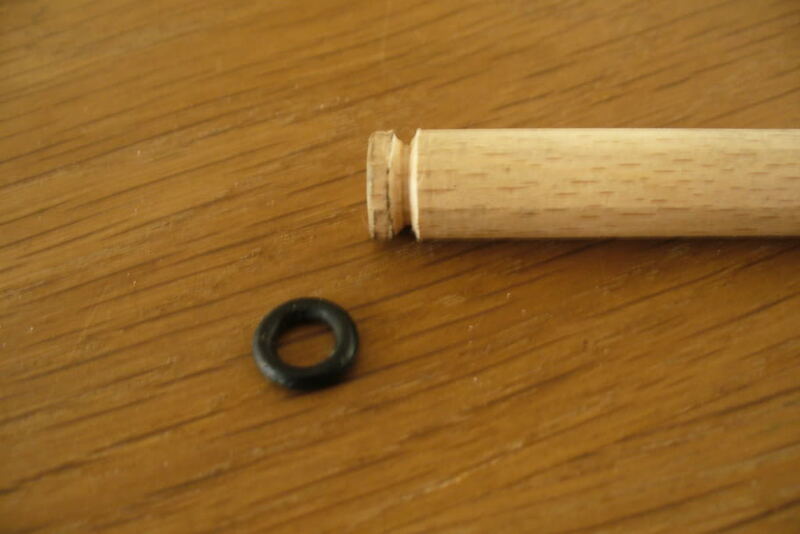 Lubricate the rubber O-ring and place the piston rod in the tube. 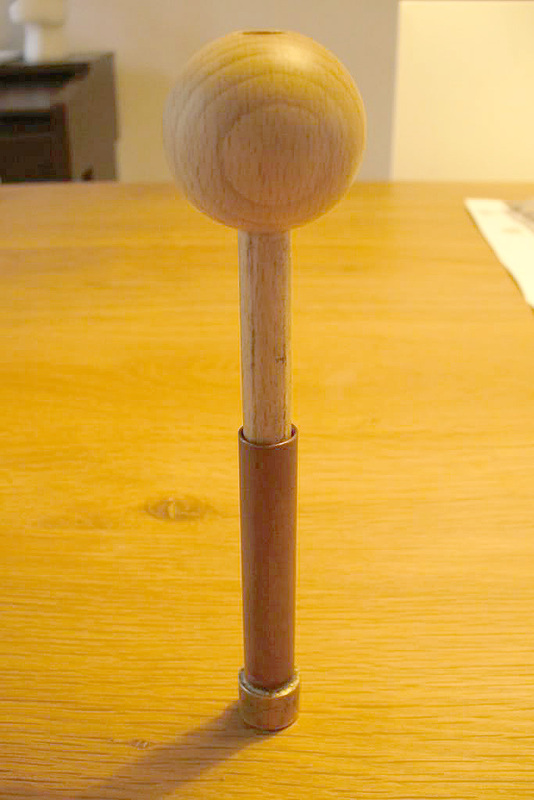 The most ergonomic way of striking is to put the tube upright on a hard surface, holding it steady with one hand. 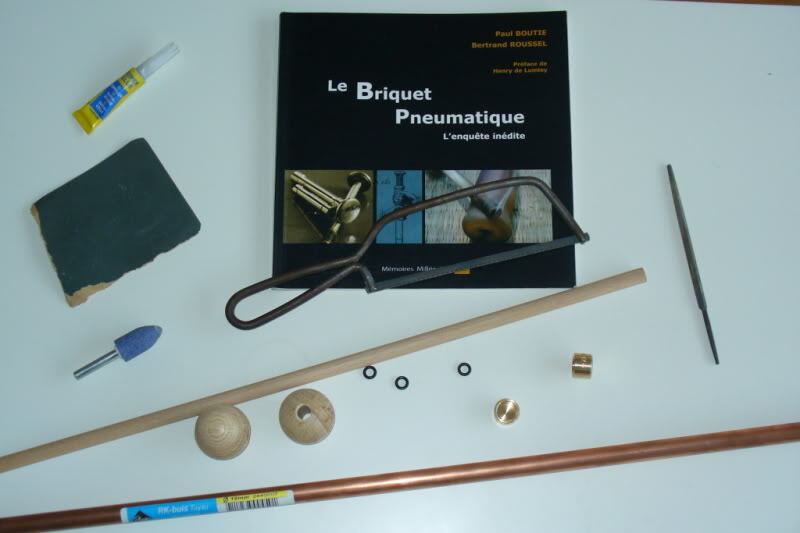 Use the palm of the other hand to push the piston rod with a forceful and (very important) speedy stroke into the tube. 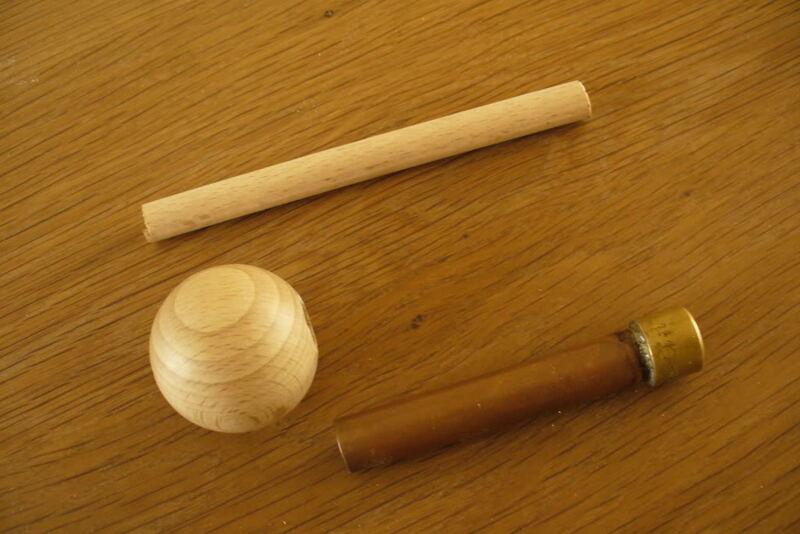 Pull it out again by gripping the wooden knob with the fingers in one smooth movement. The faster this move, the better. 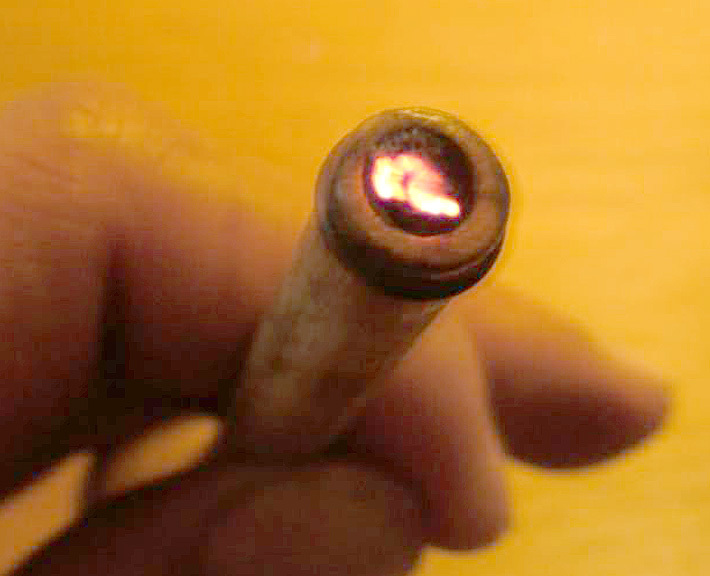 If the stroke is too slow, the coal will extinguish itself by consuming all the available oxygen in the enclosed tube. Practice this movement a lot! In the beginning, I got an ember once in every 50 tries (mostly in one strike). If everything went right, you can now see a smoldering ember in the tinder cup. 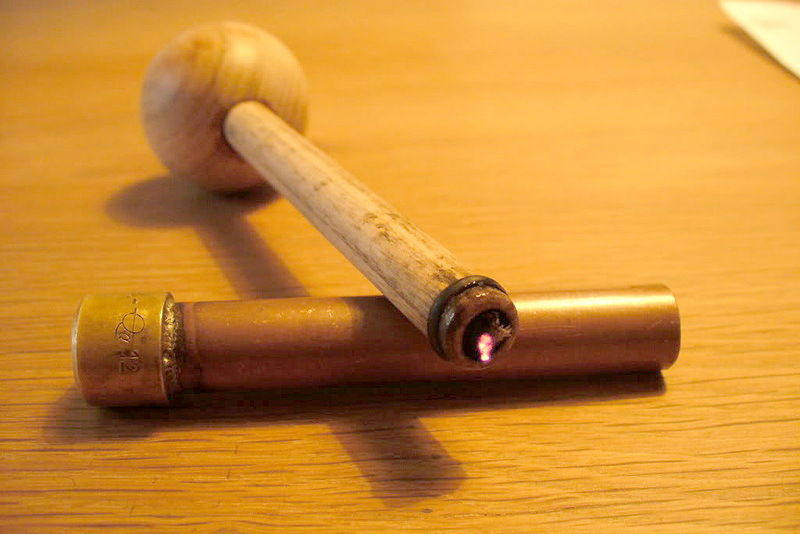 Use a pin to transfer the ember to a tinder nest and blow this into a flame. To make a more traditional gasket, as used in the original Southeast Asian fire pistons, a thread can be wound around the piston end instead of using an O-ring. 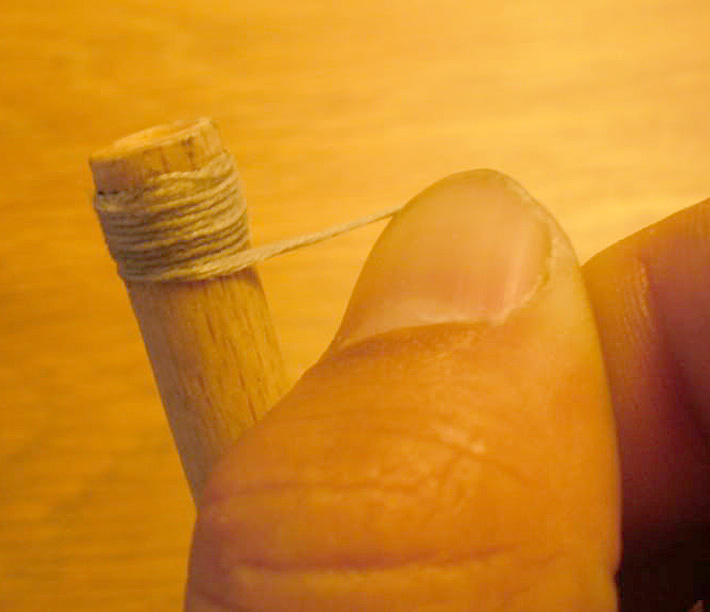 Originally, waxed silk or other thread was used to form the gasket. You will need a broader (4 mm or more) and shallower incision for winding with thread compared to the rubber O-ring method. There is no absolute need for knots. 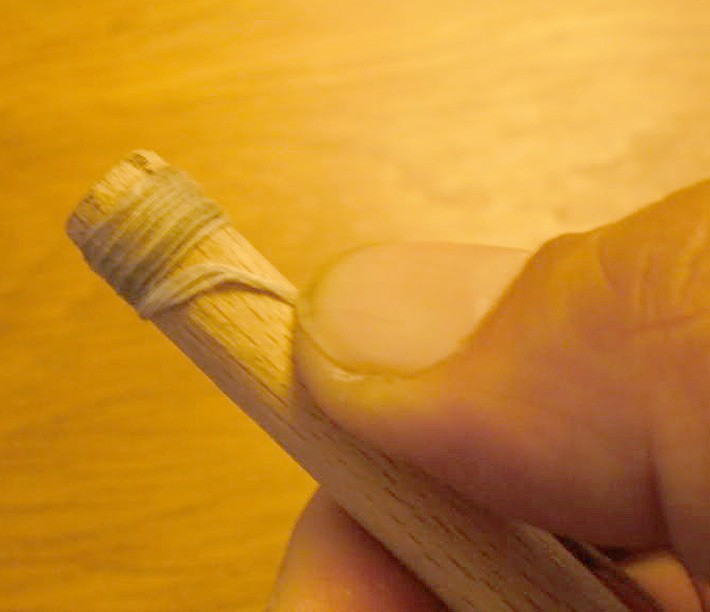 If you make a slightly deeper groove at the upper and underpart of the incision, you can bury the beginning and end of your winding thread in both grooves. I’ve used ordinary cotton thread and there was no need to treat it with wax to make it airtight. Just moisten the thread by running it trough your mouth. Then wind it tightly (starting at the tinder cup end) around the piston. 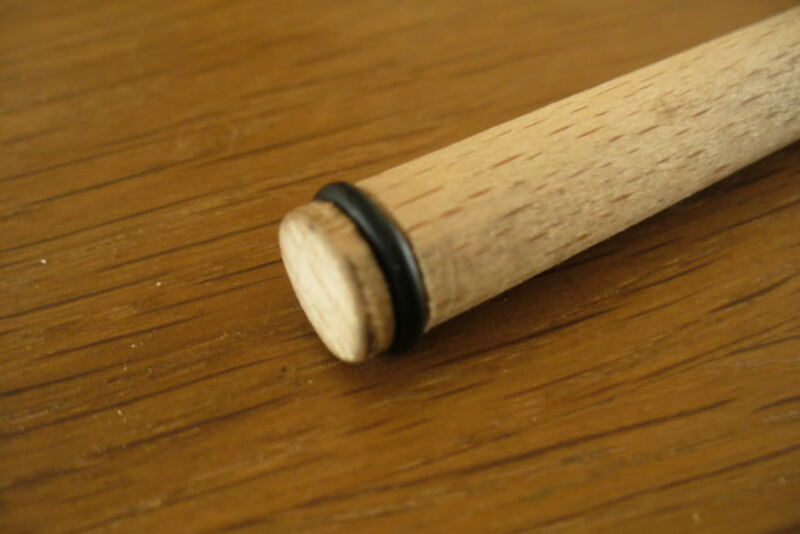 Wind tightly and press each turn to the previous one with a fingernail for a closer fit. 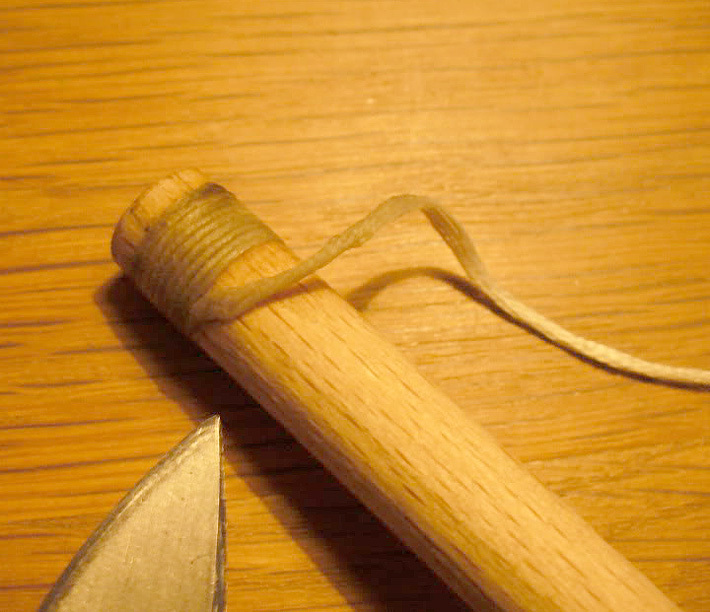 If the fit is too loose, try winding more turns or try winding up the thread itself (making it slightly thicker) before turning it around the rod. When you reach the end of the incision, hold the excess thread with one finger. Lubricate the wound gasket and push it into the tube with some force, turning the piston rod in the same direction as the winding. The windings will be kneaded into the right shape, forming an airtight closure. 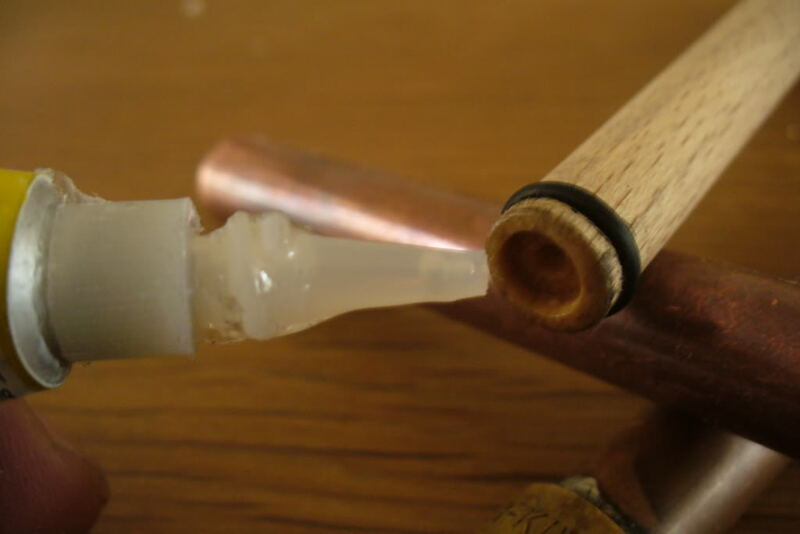 If it really doesn’t fit into the tube, the gasket is too thick and the winding or the groove must be adapted. It will take some time to find the perfect fit. 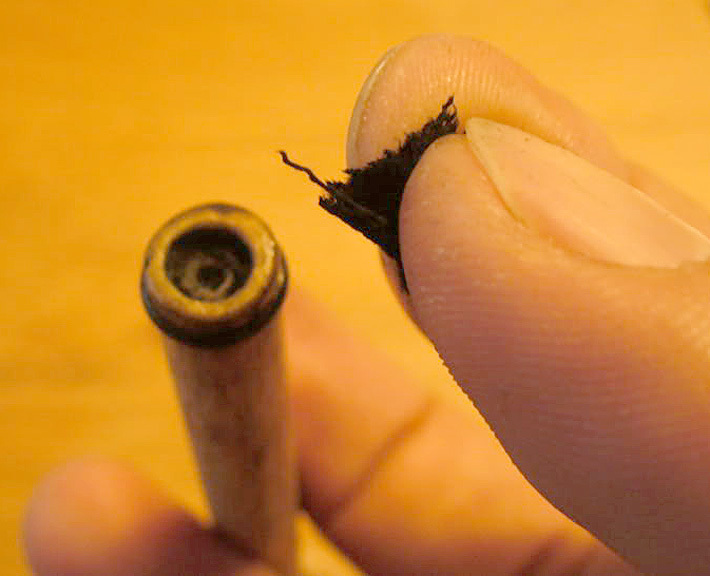 If the gasket fits well, the excess thread can simply be cut off. 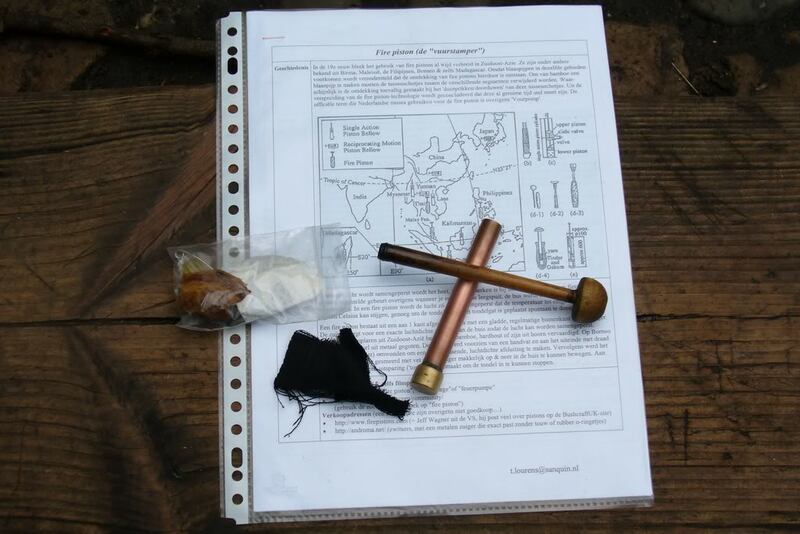 Load the tinder cup with some charcloth and try the fire piston out. Each time you insert the piston use a screwing motion in the same direction as the winding. If you turn it in the opposite direction, the winding may become undone.